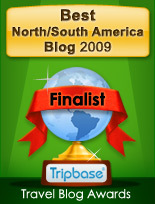 I love your informative site…for those of us living in or considering living in Mexico it is an invaluable resource. I would like to point out an error in something you wrote. On the page that discusses owning land in Mexico…you state that waterfront land can be held by a corporation but that none of the owners can be foreigners. That is no longer true….A Sociedad Anonima may be totally foreign owned…if none of the owners have their FM3 then there must be a person who is Mexican and acts as an agent for the SA who signs the documents for the land purchase but is not necessarily an owner of the corporation. I know this because I bought 3 hectares of waterfront land in Quintana Roo and none of the shareholders of the SA are Mexican and none of us had an FM3 at the time we bought the land.